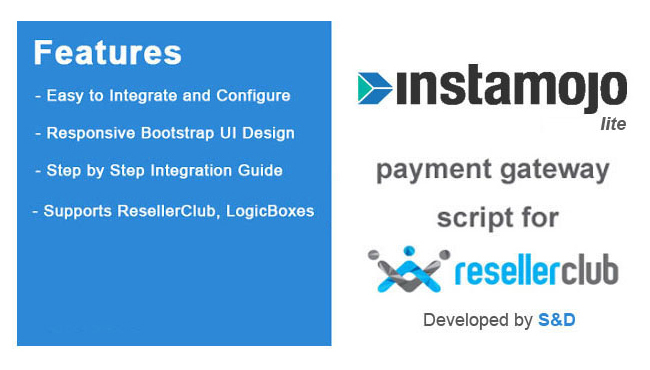 This script helps you to accept Online payments through Instamojo payment gateway on your Supersite storefront and Orderbox control panels with providers such as ResellerClub, and LogicBoxes. Don't Have an Instamojo Account? 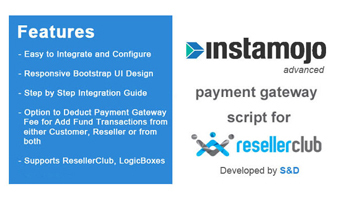 Currently resellerclub supports only ccavenue, payu and paytm out of the box. However all these gateways have tedious documentation process. With instamojo you can go live instantly but it does not have out of box integration. However this script solves the problem. Pricing is very affordable and its easy to setup. They also reply quickly to support requests.